My first impression of Yuquan Wang was a quote from him that goes “Futuristic technologies that hide their industrialization timelines are all jokes.” Futuristic technology is an advanced “species” that has repeatedly developed beyond people’s imagination in the past decade. Yuquan Wang is one of the people closest to such advanced species. He is an investor, constantly digging and chasing the most cutting-edge innovative technology projects; he is also an evangelist of innovative scientific knowledge, describing the future of technology in the most plain language. Talking with Yuquan Wang about technology is neither sophisticated or tedious. He shares everything he knows regarding innovation mapping, logic models and investment rules. In this issue of “iAsk Top Leaders”, Yuquan Wang deciphers the three major technology trends in 2019. Yuquan Wang mentioned in the “Global Innovation 260 Lectures” that most people have some misunderstanding about innovation. They think that only unprecedented inventions are called innovations, such as shared bikes in China. In fact, it originated from the idea of sharing, which should be identified as model innovation. But this is not the mainstream in the field of innovation. Most innovations are actually technological innovations, but they are likely not as exciting as model innovations. How should innovation be defined? Yuquan Wang: We hope to draw a truly innovative map for China and even the world. What is the vision for innovation? What is the trend of innovation? Where is the network of innovation? How can we make innovation more efficient? We’ve been working on a system called innovation efficiency. What we are working on is not merely to invest in a company to make it successful, but how to establish a mechanism to enable hundreds and thousands of enterprises to succeed. Gloria Ai: But I have a question: innovation is dynamic, yet in the process of drawing innovative maps, we must eliminate uncertainty as much as possible, so that the map can be stable. So how can a process of change be equipped with a constant formula? Yuquan Wang: This is a misunderstanding people have. People think that innovation is a brand new creation out of nowhere, but it is not. Innovation has long been industrialized. People follow their predecessors’ footprints one step at a time based on their assumptions. There’ re standing rules to follow, but many people still don’t see it. Gloria Ai: What innovation rules have you discovered? What is achievable and what is not? Yuquan Wang: In short, the origin of innovation is often from universities and colleges. Of course, this type of innovation is limited, especially for product innovation that involves immense scientific and technology advancements. The era of folk scientists is over. Another Edison is unlikely to appear in this era. Gloria Ai: The era of folk scientists is over? Yuquan Wang: Yes, if someone tells you that they have been studying isolated in the mountains for 20 years and have developed a globally-leading technology, now they want to start a company and need funding, you can walk away immediately because 90% chance is that this person is a liar, and the remaining 10% possibility is that they’re mentally ill. The vast majority of science and technology is originated from academic higher institutions, however, it’s not those institutions that turn scientific research into products. There’s another concept that Chinese people get confused about a lot. People don’t understand what science or technology is, since the Chinese term “Keji”combines both connotations. However, it is distinguished as science and technology overseas. Gloria Ai: What is the difference? Yuquan Wang: Science actually refers to breakthroughs in theory. For example, I know of evolution theory or theory of relativity from a scientific perspective, but technology means that I can do things that I could not do before. However, technology does not necessarily require scientific knowledge. For example, back when Lun Cai invented paper, he must have no idea the scientific theory behind it or how the fiber of paper is formed. Secondly, science leads to research. After the research is completed, you need to develop it into a product, which is call R&D, i.e. Research and Development, which people are confused about as well. In fact, it means that you have to resort to technology to turn scientific research findings into products. The transformation from scientific research into products takes at least five years. It is impossible to develop products within five years. We often mention that if you were to evaluate a futuristic technology, you need to look into its industrialization timeline. Don’t get pumped over reading from media coverage of the technology or expect it to be put in production overnight. You need to see what stage it is at right now. If it just completes scientific research, it will definitely not turn into products within five years. At the beginning of 2019, Alibaba DAMO Academy released the report “Top Ten Technology Trends in 2019”, nominating smart city, voice AI, AI dedicated chip, graph neural network, computer architecture, 5G, digital identity, autonomous driving, blockchain, data security etc. In another global consumer technology market forecast released by the CES organizer, the Consumer Technology Association (CTA), voice computing, robotics, 5G, biotechnology, blockchain and AI were listed as the top six technological trends in 2019. The dialogue between Gloria Ai and Yuquan Wang took place at CES 2019. In the face of the new technologies that are looming, we want to know in what way they will come to us. Gloria Ai: What trends and opportunities have you spotted at CES in 2019? Yuquan Wang: First, everyone is talking about autonomous driving, which is indeed a trend. However, the autonomous driving products presented at CES 2019 seem quite dull, because it is not much different from what has been shown in 2018 and 2017. Yet, the dullness actually implies a signal that autonomous driving has started to enter the industrialized mass production stage. Because if you want to test the market, or if you want to announce a new concept, you need to make the announcement in advance. The new concept of autonomous driving was widely introduced two years ago. In the past two years, the concept has been implemented. Cars should be manufactured in mass. Therefore, there will not be any new concept but to reiterate the old concept. When you think some technology is dull, the futuristic technology has swiftly penetrated our daily lives. Gloria Ai: May I ask is there any trap or bubble in it? Yuquan Wang: Autonomous driving has plenty of risks, or traps and bubbles like you said. The biggest issue lies in the pursuit for the ultimate perfection, which cannot be achieved by AI at the moment. A clever solution is to resort to “technology externality”, where the more you pursue perfection, the harder it becomes. However, during the process, when the technology is enhanced substantially, if you lower your threshold for technology, you would be capable of deliver many other achievements. Gloria Ai: How would you comment on the second trend in 2019? Yuquan Wang: The second one is something that I didn’t expect. It’s related to the big trend of 5G. You will notice that everyone is talking about 5G, but I think 5G will not be industrialized that quickly, because people are mostly talking about 5G devices, which is not the right direction. After years of development of the telecommunication industry in China, we’re all aware that the real technology-leading trend should be 5G applications. Gloria Ai: If you were to name a third trend or opportunity, what do you think it would be? Yuquan Wang: The third one should be robotics, especially commercial robotics. For example, the washing machine is now very developed, so is the dryer. The most annoying thing is to fold the clothes. If only there was a machine that folds clothes. This was difficult to materialize before, because you can’t do it without combining AI and robotics. But now it’s doable. I think it is a very exciting era, because technology capability has exceeded the demand. Whoever can discover demand first can easily design the product and expand its market share. Technology can not only bring about revolutions in the world, but also create a fortune for investors. Based on the data from the market consulting firm Rhodium Group, China’s venture capital investment in the US high-tech sector increased from $376 million in 2013 to $3.1 billion in 2018. At the same time, the domestic capital is drastically injected into the technology sector. Based on the data from CB Insights, China’s investment in AI startups accounted for 48% of the global total in 2017, surpassing that of the US (38%). In the past four years, out of the investment in the AI sector by BAT, 44% of the capital was invested in American companies; 46% in domestic ones. But the question is, if you’re funded and knowledgeable of technology, will you become an outstanding investor in the technology sector for sure? Gloria Ai: Many people have watched your “Global Innovation 260 Lectures”. What everyone is curious about is that if you can interpret the world’s cutting-edge technology and anticipate the future, can you make better investments?  iAsk Capital is also dedicated to the media technology sector. After interacting with many tech companies, we found out that instead of looking for a technology-driven market, it is better to find a market-driven technology. What do you think? Yuquan Wang: I don’t think it’s a problem with the driving force, it should all be taken into account. From the perspective of an enterprise, you have to invest in profitable business. Yet, from an industry point of view, for an industry to develop in a sound manner, some enterprises are profitable, some are not. If you only support scaled profitable enterprises, the industry would be doomed. An industry works like an ecosystem, where we can’t only take care of trees while ignoring grass. A sound ecosystem needs everything in place. Gloria Ai: Can you share your investment cases? Yuquan Wang: Most of the companies we invest in are still growing. In the coming two years, some enterprises might go public or exit. Investing requires a lot of patience, just like how it takes three generations to make a gentleman. Although this society has greatly accelerated the development of enterprises, it still takes at least 20 years to nurture an enterprise to be good enough. After pulling through 10 years of hardships and perfecting products, you should spend another 10 years focusing on global expansion and network building. The companies we invest in are mostly young. Another interesting thing is that we’re trying our utmost to persuade American tech companies to go public in Hong Kong. Why is that?It’s because NASDAQ undervalues tech companies. The United States is far less enthusiastic about technology than China is. The recognition of the technology sector in the US capital market is also far behind that in China. Gloria Ai: The last question is, what’s your prediction of yourself and the platform you’re operating in 10 years? Yuquan Wang: Frankly speaking, I’m kind of like ancient Chinese literati, who would retire after they fulfill their responsibilities. I hope people remember that innovation can be facilitated on this platform. As for who contributes behind the scene, it fits the saying “The times create heroes”, so the credit should go to the times. I’m not even sure if we can succeed, but we’re trying the best we can. I never thought about the prediction. In ten years, I just want more time to myself after retirement so I can relax. That’s all.